Choosing the right gaming mouse is important since this device will support you, help you navigate and make decision while gaming. There are so many options out there starting from those affordable mice to those that priced so high up there. 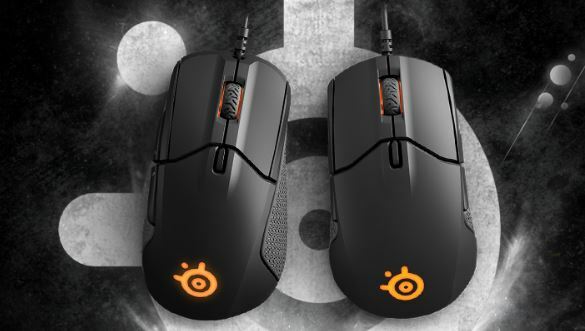 In today Steelseries Rival 600 vs 310 article, we are going to give you more information regarding these two similar yet different mice, so you will know which to choose. If one or both of them took your interest, go check our article below. 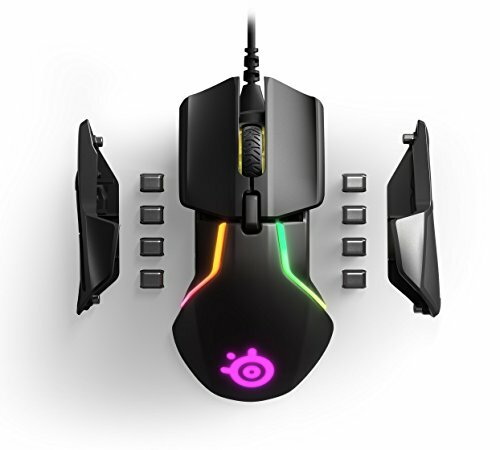 If you are familiar with gaming mice, the name SteelSeries will sound so obviously familiar. 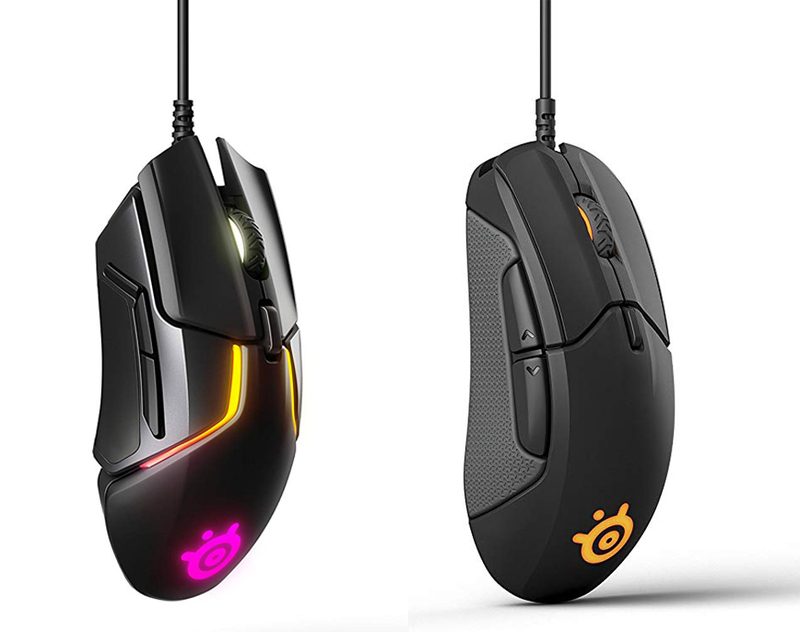 This series of high quality gaming gear have been around releasing constantly improved gaming peripherals for quite some time now and today we are going to talk about one of their mouse, the Rival 600, which is one of their newest model. It is recently released at CES 2018 and instantly took the crowd’s attention with a set of features it comes packed with for the users. From the outside the mouse looks like its brother the Rival 310 but somehow bulkier and obviously bigger than the series entry-level gaming mice. It has a soft touch finishes all over the exterior of this peripheral and located at the two side where you are going to grip the mouse, you will find a piece of soft rubber for better comfort and firmer grip. One special thing about these sides are they can be removed to customize its weight system. On the inside, the Rival 600 comes with TrueMove 3 sensor just like in Sensei 310 but now this mouse has a secondary sensor to help stopping the cursor from drifting when you accidentally lift it or when you want to move it from/to mousepad or table. If we are counting the TrueMove 3 alone, it will offer a maximum sensitivity of 12.000 counts per inch or CPI and one-to-one tracking up to 3.500 CPI. When the secondary sensor is added, we can be sure the mouse won’t miss a beat even while you reorient your hand. Speaking about the amount of buttons you can find here, this mouse significantly has fewer buttons than its brother Rival 500 with its 15 buttons and switches. The Rival 600 only comes with 3 side buttons in addition to the regular left and right buttons as well as one scroll wheel in the middle. As it has been mentioned earlier that this mouse has a weight management system located at each of its side. When you open this panel, you will find 4 individual weight-holding channels. This feature will let you customize the weight up to 32g in any side you like whether in front, back, or on the side of the mouse and even combining all of them to match your preference. For the DPI setting, you can use the single button behind the mouse wheel. However, it can only set DPI between two settings instead of giving you a range of options. If you think the Rival 600 is too expensive or you are currently on a tight in budget but still want a similarly powerful gaming mice, you may want to take a look at Rival 310. This one is very popular and said to be one of the most affordable and reliable gaming mouse in the recent market. It is not as high end as the 600 but comes with comparably powerful features making the two at the top of the pyramid between their peers. From the outside, the Rival 310 comes with a clean, simple look with everything you want from a gaming mouse. A plastic in matte black material is covering the mouse in most areas with some grey silicone used for the side grips as well as scroll wheel. Overall, it is quite smooth but there are sudden angle changes adding a little aggression into the aesthetic. The company claimed this plastic material is fingerprint resistant and will do a great job hiding palm sweat or finger grease. Just like Rival 600, the 310 also equipped with TrueMove 3 sensor that designed especially for e-sports gaming. The sensor offer you one-to-one tracking between 100 and 3.500 DPI while also promised a reduced jittering between 3.500 and 12.000 DPI. Its new sensor and wired connection also improved to minimize any input lag and better movement across all application. Just like many other gaming mice, you can customize some options through the software, such as the buttons, logo lightning mode and color scheme. You may also adjust the DPI levels and how frequently the mouse communicates with your computer or also called polling rate. Besides all this capabilities, one thing that makes the mouse even better is how good they put the buttons on it since no matter where you are clicking on the primary buttons, the actuation will still feel consistent. One unfortunate thing here is the CPI switch only toggle between two settings and there is no indication of your current level. For better handling, SteelSeries 310 has silicon siding that won’t feel too gummy and give you an excellent grip to pick the mouse up and even though the right side is slightly downward, you can still easily lift it with gentle grip. Now, let’s compare SteelSeries 600 with 310. Both of them are quite similar with the same sensor but 600 has additional sensor to stop the mouse from drifting as well as customizable weight, which not present in 310 model. Another difference is the design since the 310 is slightly wider on the right side but which one is better or more comfortable is depend on the user. All in all, the decision is all yours to make. In our opinion, both of them are equally great and you can’t get wrong with either of them. Their performance are similarly reliable and you can pick based on which you think will suit your preference better. However, if we are to choose, we are going to recommend you the SteelSeries 310 for its similar performance but in more affordable price.